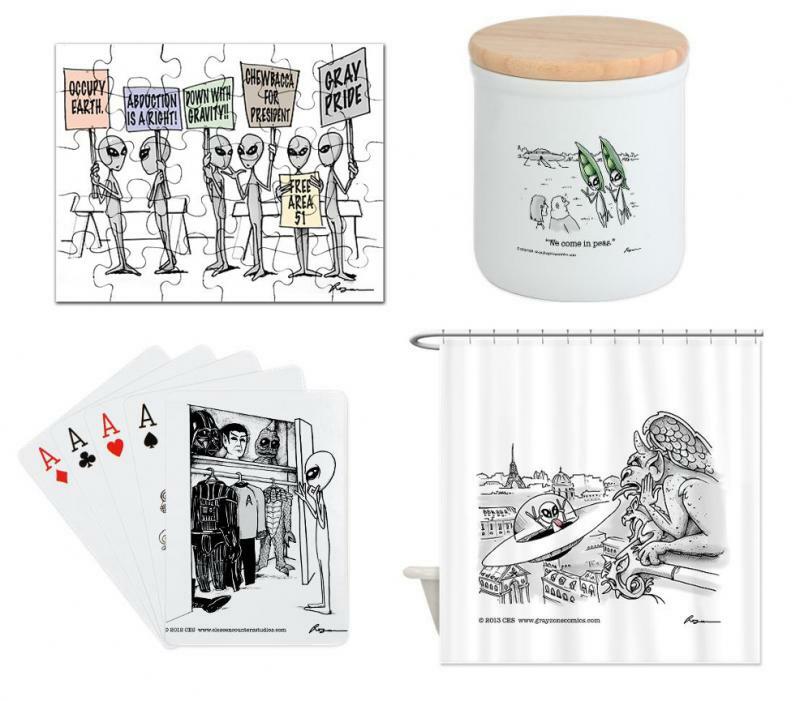 Welcome to the home of the cartoon aliens from "The Gray Zone!" 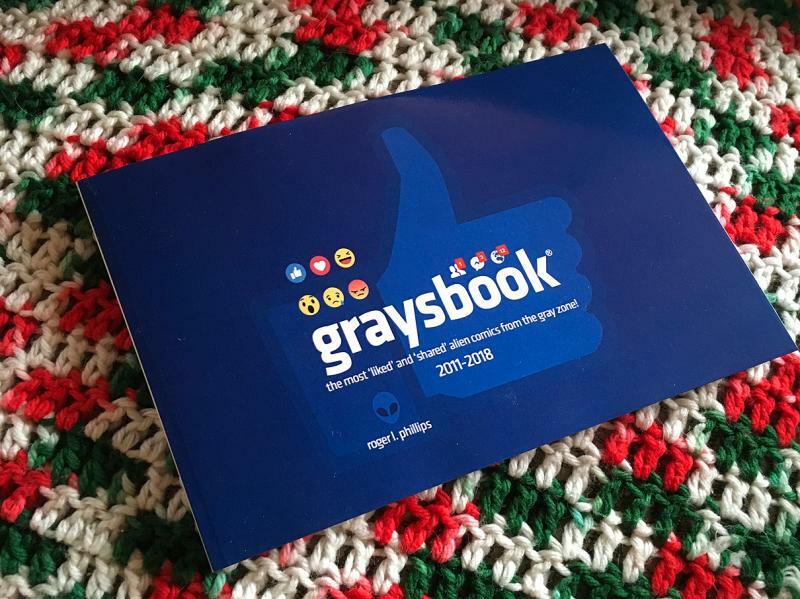 ﻿﻿﻿365 Grays a Year - NEW! Want a custom message in your book? Just ask at checkout! Now on E.T. Let's Talk! 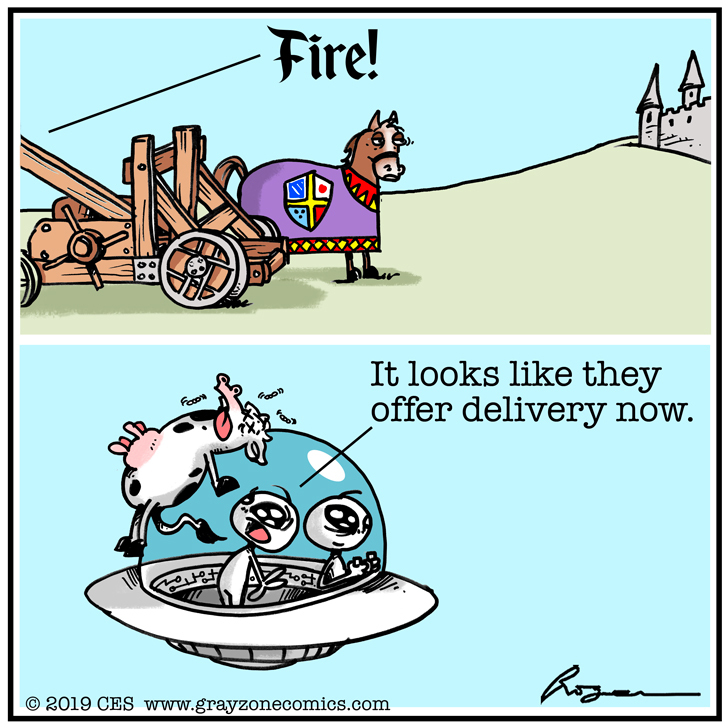 Fun stuff from "The Gray Zone!" 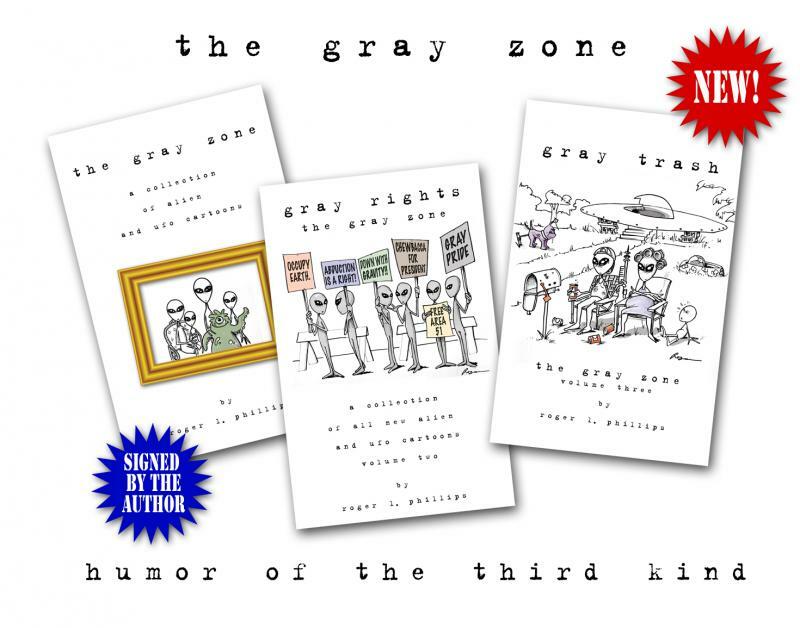 Over a dozen of the most popular strips from "The Gray Zone" are available on t-shirts, puzzles and other stuff. 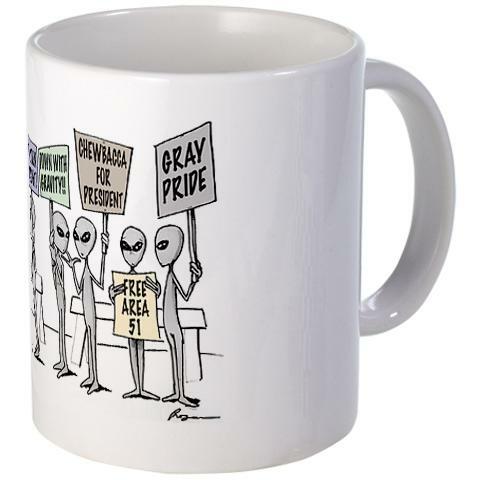 The perfect mug for folks who like their coffee gray.